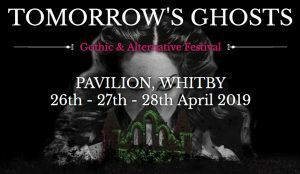 As part of TOMORROW’S GHOSTS – Gothic & Alternative Festival. 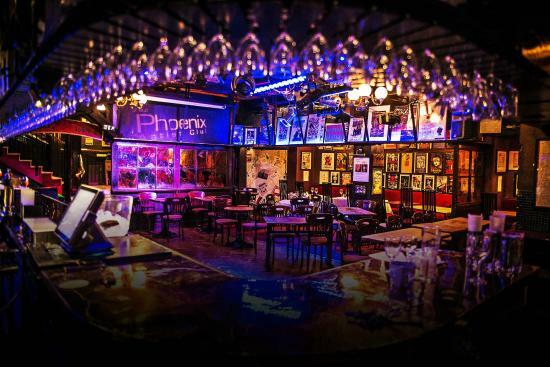 Forever Carrying On returns due to popular demand at The Crazy Coqs – Live at Brasserie Zedel near Picadilly Circus on Wednesday 7th November. Valerie will be attending the Island Con on the Isle of Wight in October! Valerie is delighted to be attending the Ramsgate Film & TV Festival on March 17th 2018. Full Details Here. I will be making some appearances dotted throughout When Comedy Goes Horribly Wrong Sunday 18th from 9pm on Channel 5 TV in the UK. Valerie will be at the Chiller Theatre Film Expo in New Jersey, USA from Friday April 27th to Sunday April 29th at the Hilton Parsippany. 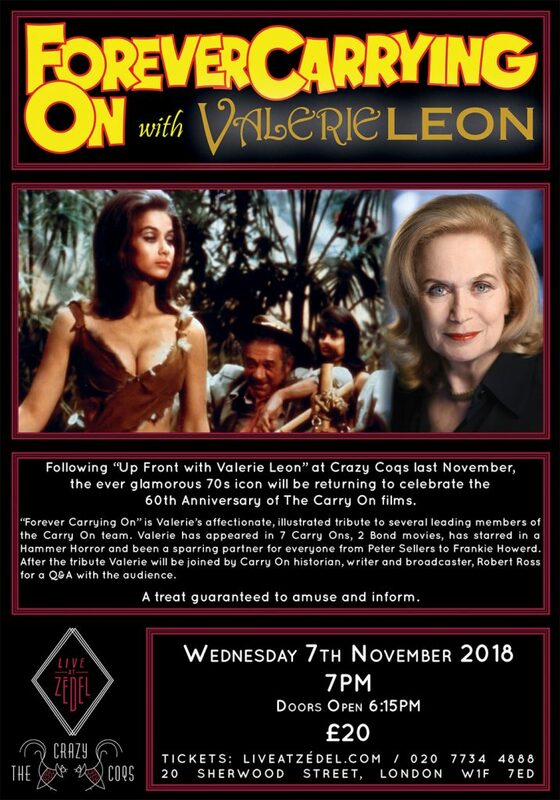 Following on from the sold performance at Brasserie Zedel there will be another performance of Up Front with Valerie Leon at The Phoenix Artist Club off Charing Cross Road on Saturday 7th April at 2.30pm.